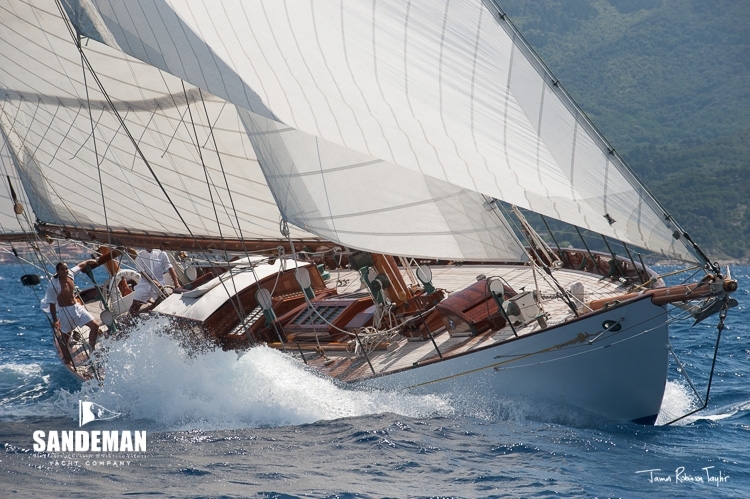 Designed by William Fife III at the peak of his powers in 1936 - not only has LATIFA been widely regarded by yachting luminaries to the present day as the best of all his designs, but the great man himself considered her to be his finest. 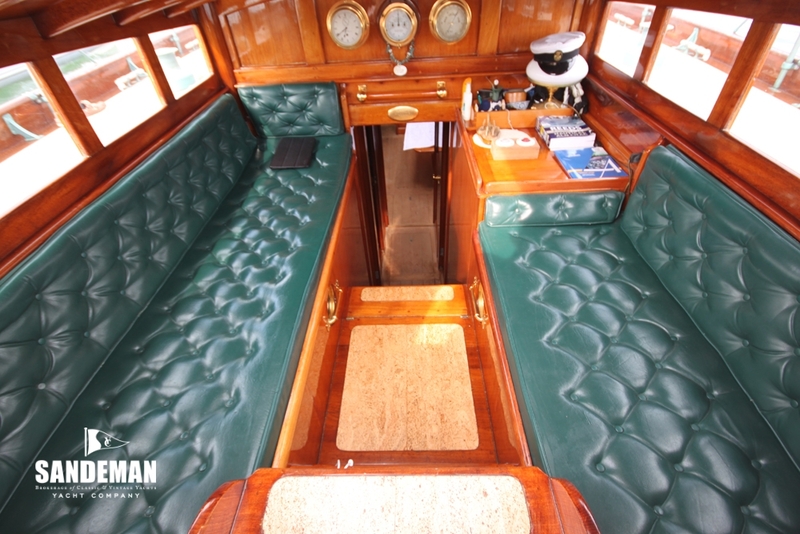 Mere mention of her name imparts a legendary tone to any yachting conversation and as one of Fife’s last designs kept one foot in the past while putting the other firmly in the future. 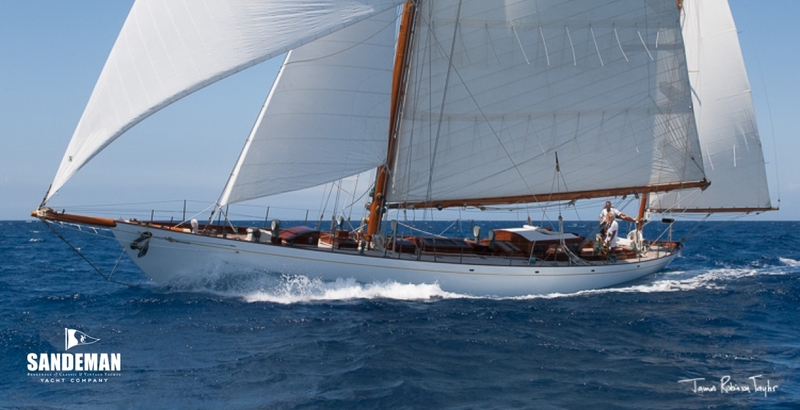 Second in the 1937 and ’39 Fastnet Races she had a class win in the first post war race in 1947. 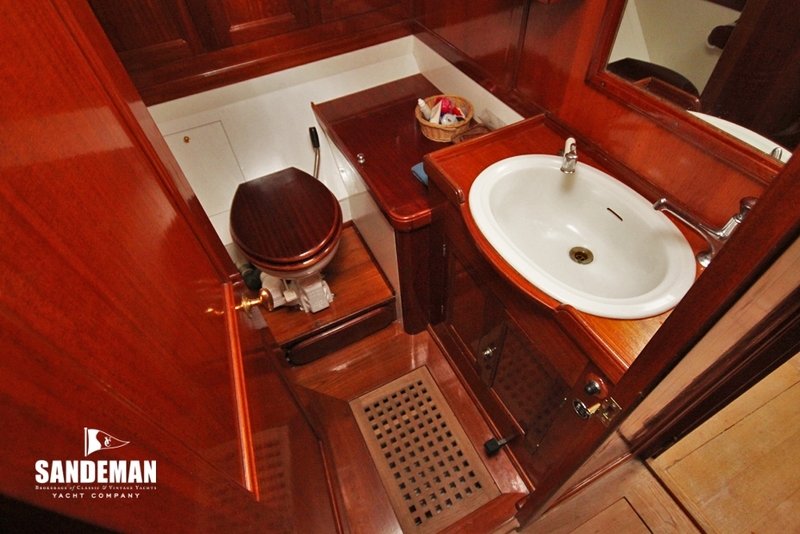 Thoroughly, sensitively and immaculately restored, LATIFA is strong with up to date systems and equipment and sensible accommodation for long distant cruises in great comfort. 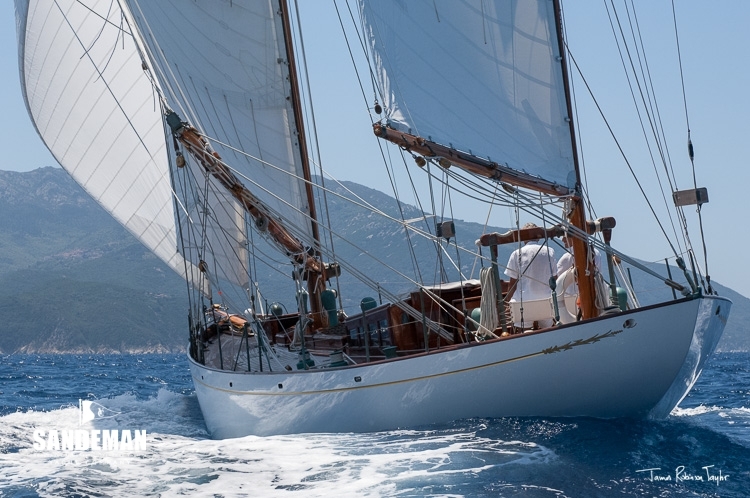 In her current ownership LATIFA’s special capabilities are marked by achieving 12 single handed transatlantic crossings and a two year global circumnavigation with her owner’s family as crew. 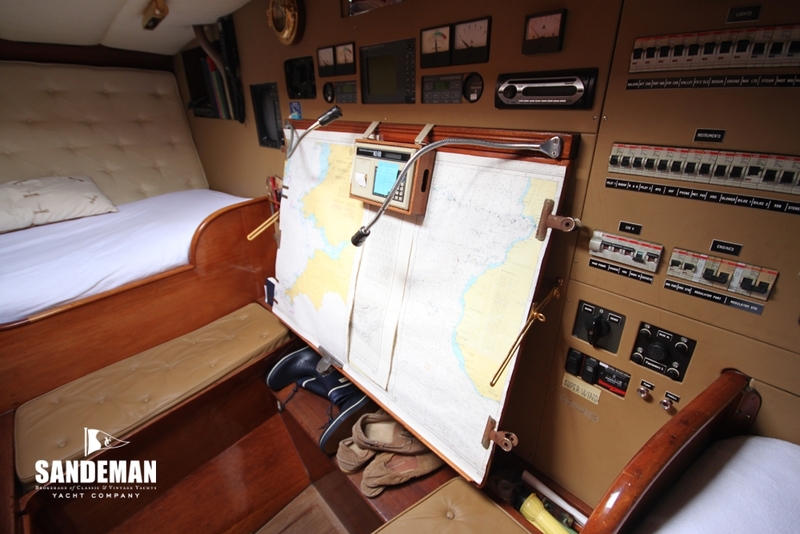 It is a very special 70 ft yacht from any era that can be sailed by one man alone! “……….. 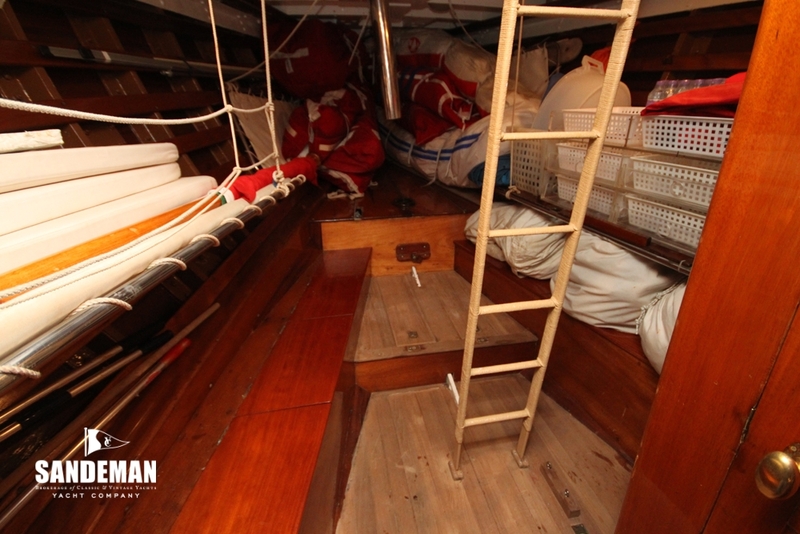 I am going to leave 8 Metre racing for a while, and I want to try an ocean racer and cruiser………… My idea is a schooner, gaff rigged with ordinary topsails, built to ocean racing rules…………something that would go in light weathers and could still be comfortable for cruising in heavy weather by shortening sail. 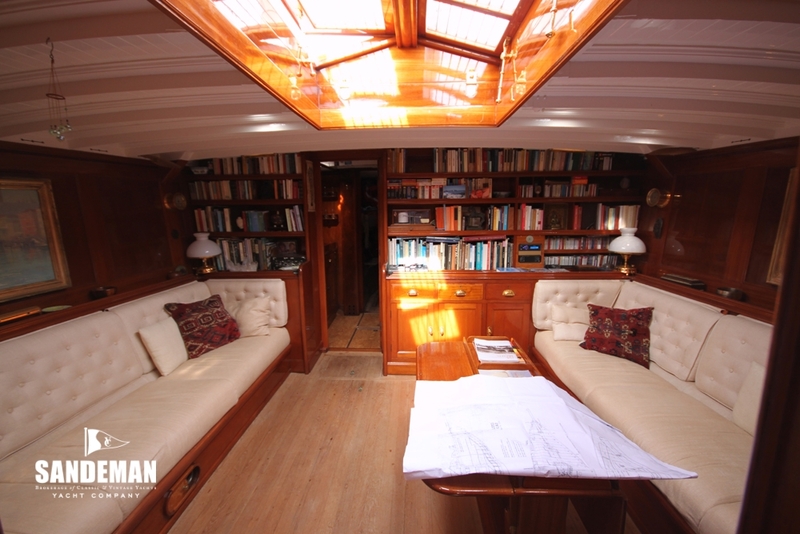 I\'d like to have her for ocean racing all summer and cruising in the winter - not in the Mediterranean but real long passages. 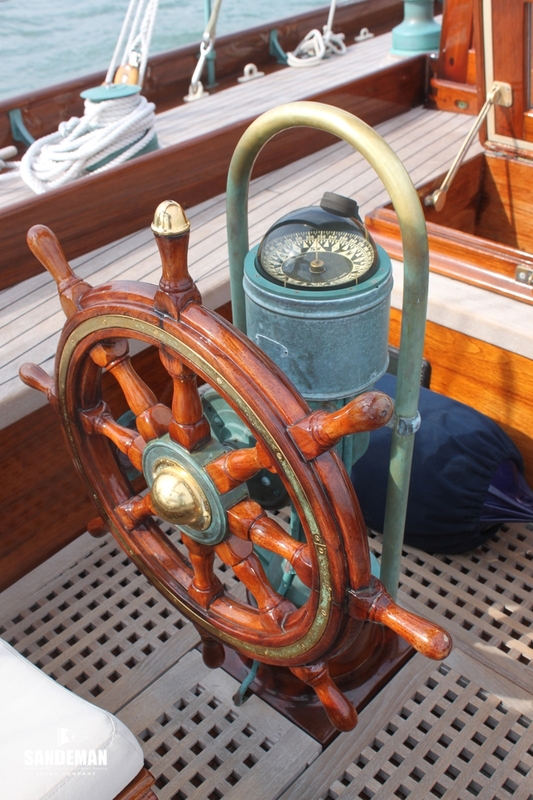 ……….I should spend as much time as possible at the wheel myself and would like a good steering cockpit with as clear a view over the bow as possible. 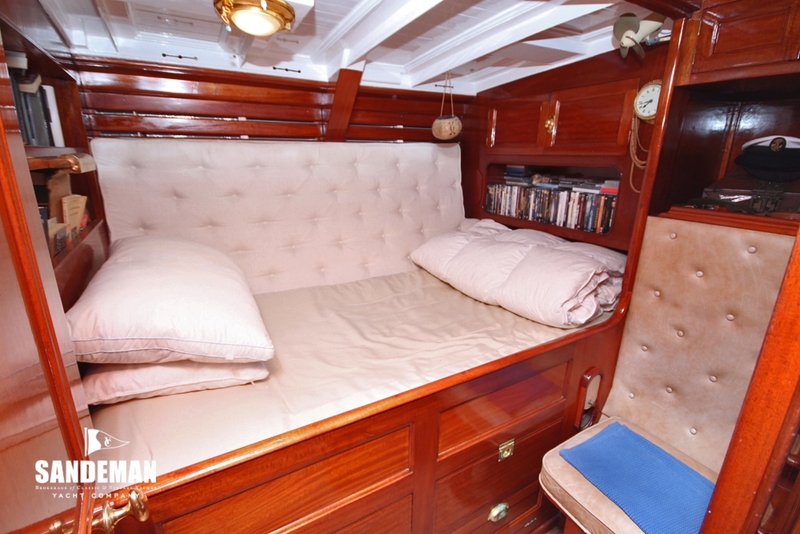 For accommodation my idea would be four single cabins and a saloon where for racing two of the amateur crew could bed down. Foc’sIe accommodation for four I should think would be enough for the longest passages; I count myself as part of the working crew even if all the other passengers are passengers. Thanks for yours of the 21st which what I expected you to say. 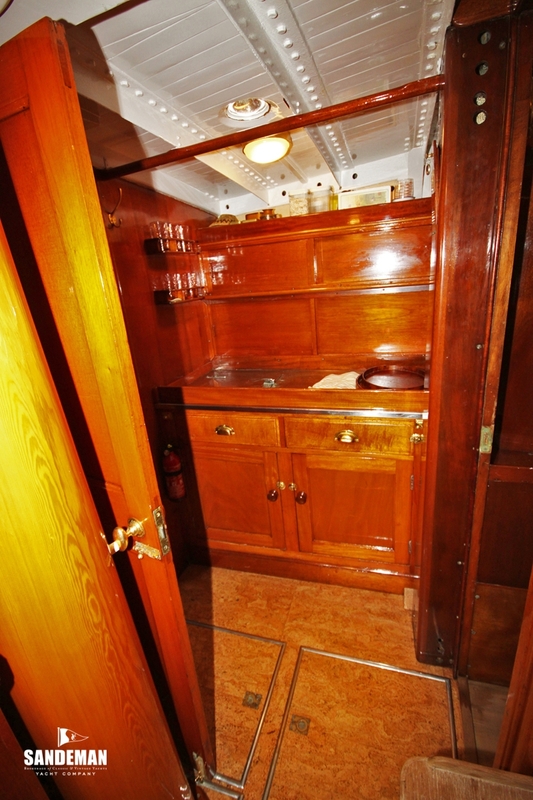 “…………..I now have pleasure in enclosing the specification, and have today posted under separate cover prints of the accommodation plan and sail plan, The LWL is now 51 feet 6\" as compared with 50 ft which I had in mind when I indicated £7,000 as the cost of such a vessel, this accounts for the price being £7,250 quoted…………… With regard to the sail plan, the main mast is specified with a topmast to socket into the head. 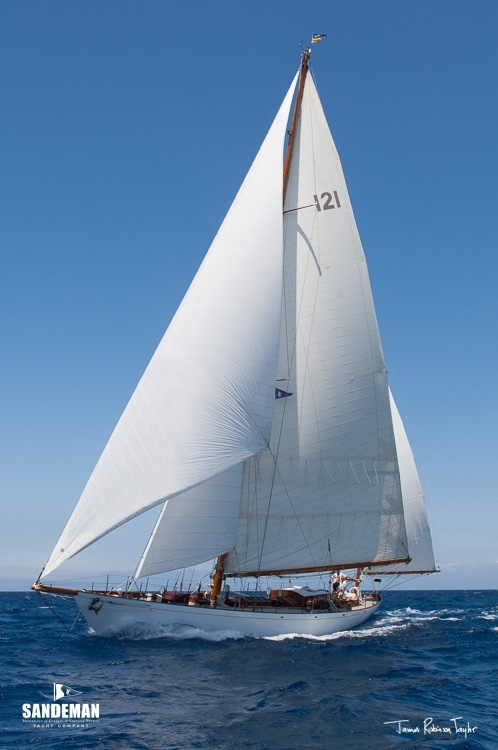 I have also shown on the sail plan a longer topmast and larger mainsail, this might be considered for the Fastnet or similar races. 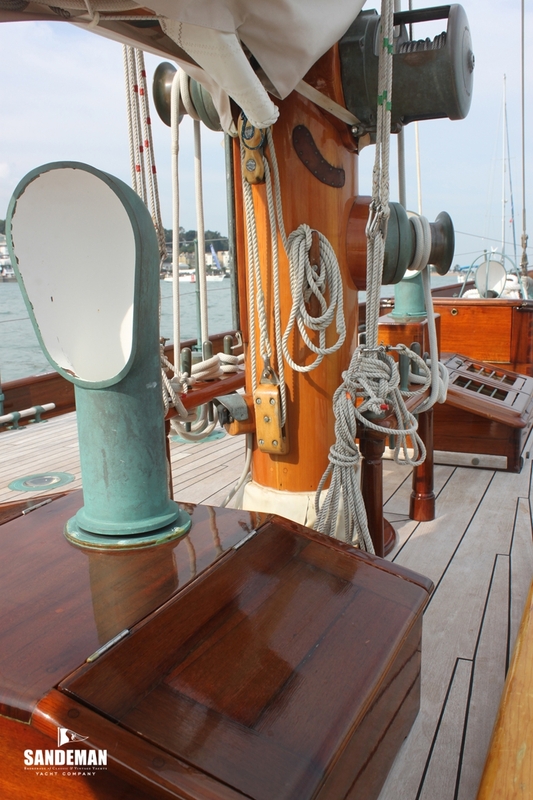 The main mast is specified of Oregon pine, with a spruce topmast. 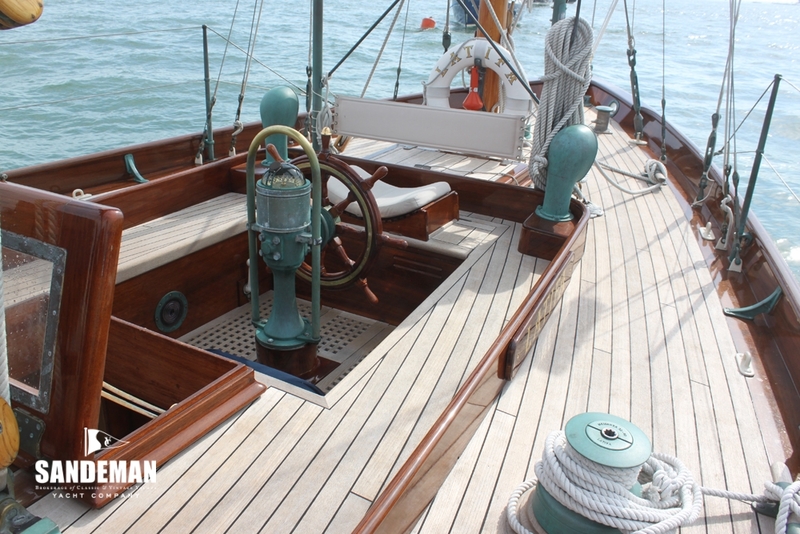 I think Oregon is preferable for Ocean work, a Spruce mast is best for racing……….. Two positions are shown for the capstan. 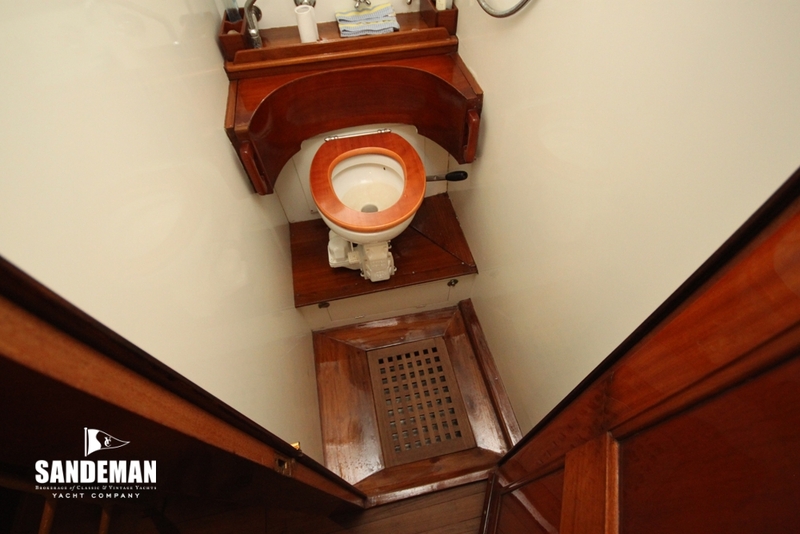 If it is fitted in the aft position it might be useful for the mainsheet. It could easily be removed for racing………... 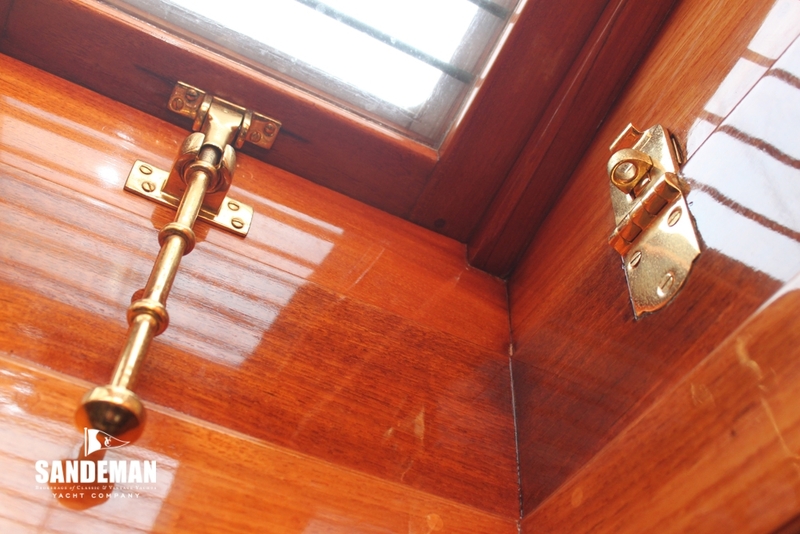 The woodwork in the saloon and owner\'s accommodation is specified of mahogany, cedar or timber of equal weight, in order to keep down the weight of these, and the finish is probably most suitable for your purpose, as it is not easily marked and can be cleaned with a damp cloth. This is only a suggestion for your consideration. I hope the drawings will meet with your approval and will be glad to amend them in any way you desire. I am, Yours most faithfully, William Fife. 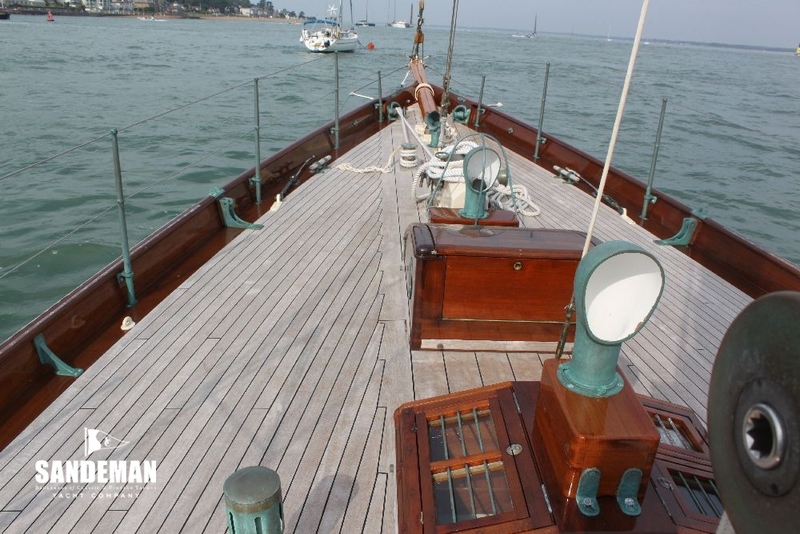 Deciding on what constitutes the perfect yacht is only marginally less likely to end in a fracas than deciding on the perfect woman but at least there are some likely points on which to agree. 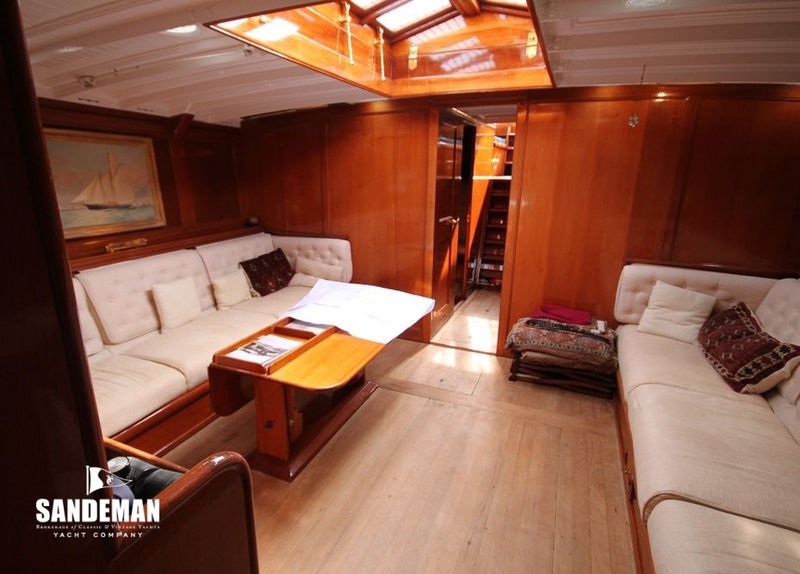 That she’d be fast and stunningly beautiful go without saying, and she - the yacht this is - would have a history: some ghosts with which to share your quiet evenings aboard. She would, of course, be from a great designer, let’s say, William Fife, and perhaps be a favourite out of his illustrious catalogue. Performance-wise, it would be nice if she could be sailed solo or short handed with the family but of course she’d have to be able to win trophies at the famous regattas and races around the world. 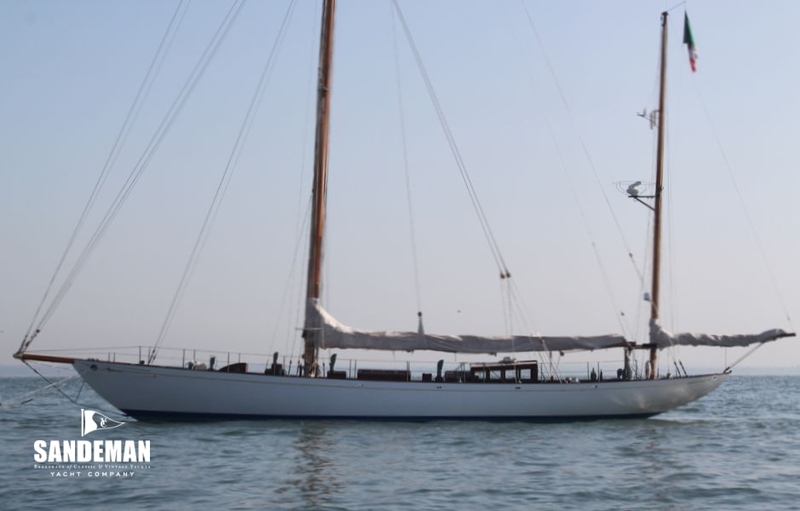 She’d be built from the best materials, and would it be too much to ask also for her to have an impeccable maintenance history - to have been owned by the same knowledgeable, besotted owner for the last 40 or so years? Well if that’s the wish list then the yacht is LATIFA. 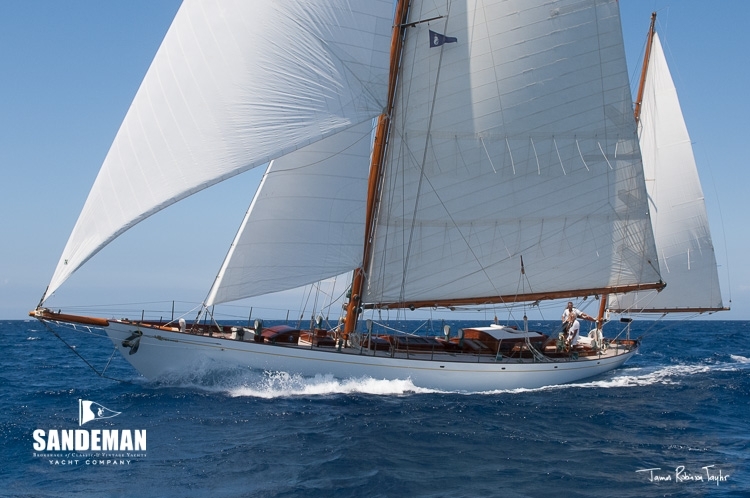 Designed by Fife III at the peak of his powers, in1936, to a far freer set of criteria than the Metre Rule allowed, she combines all the above luscious attributes and more besides. 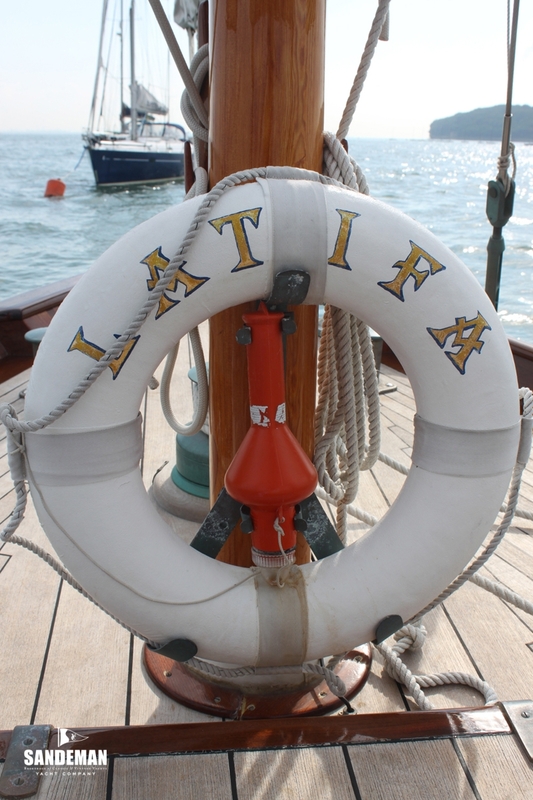 Not only is LATIFA widely regarded by many of today\'s yachting luminaries as the best of all Fife\'s designs, but the great man himself believed her to be his finest – such was his own affection for the yacht that the Fife family assimilated a model of LATIFA into the memorial produced on his death in 1944. “A great delight to lovers of sailing vessels, for she is one of the loveliest of sailing craft yet seen, and I can see her now smoking up through the Solent with a north west breeze over her quarter, everything set even to the mizzen staysail, and all her cloud of canvas seeming to lift her out of the water\'. 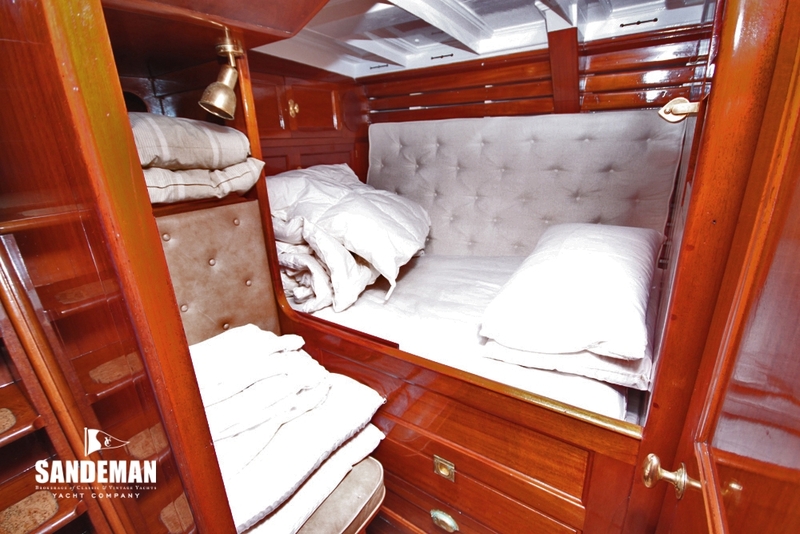 It can only be imagined how, in 1936, the already world-renowned William Fife III sat down to draw, without the constraints of the ostensibly inshore racing rules intended to develop the thoroughbred racing yachts on which he had made his reputation, laying all his considerable talents and knowledge on the table to produce an altogether more substantial, stable yacht to an ocean racing rule that produced sea kindly, long legged, easy handling craft. Perhaps he already saw the writing on the wall - the Second World War was looming and advances in materials would allow a new generation of young designers to develop techniques and materials that would transform literally the shape of yacht design. 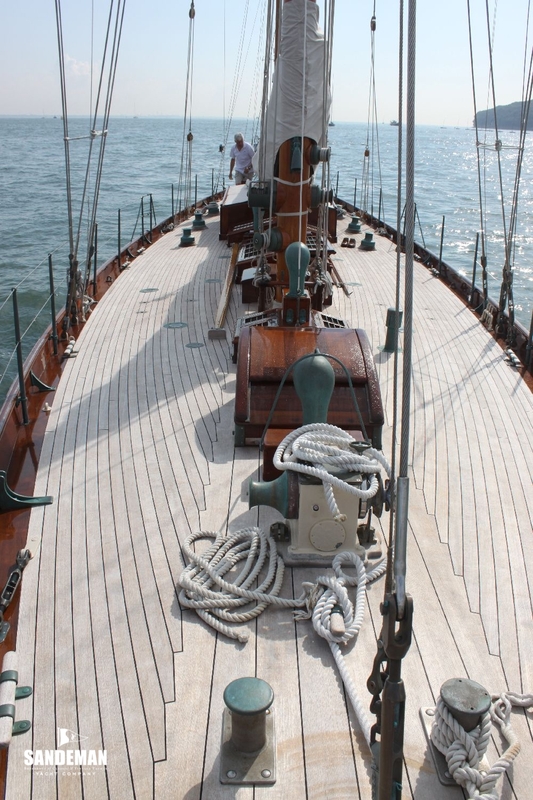 Could LATIFA have been Fife’s message to a future generation of yacht designers? 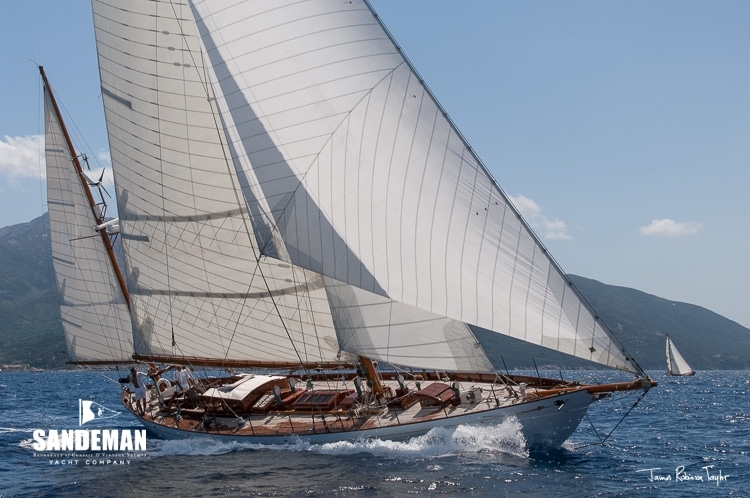 DORADE was already six years along her path into yachting legend and surely the great man, at the age of 79, could sense that his influence would have dwindled by the end of hostilities. But this is mere wistful speculation, having in her infancy come second in two consecutive Fastnet Races, LATIFA’s special capabilities are quantified by her achievements in her current owner\'s time in charge: 12 single handed transatlantic crossings, a two year global circumnavigation with his family as crew; winning Class 1 at the Fife regatta in 2013 against such august racing classics as ASTOR, SOLWAY MAID and KENTRA and winning the Concours d’Elegace at Antigua Classics 2001 and 2011. 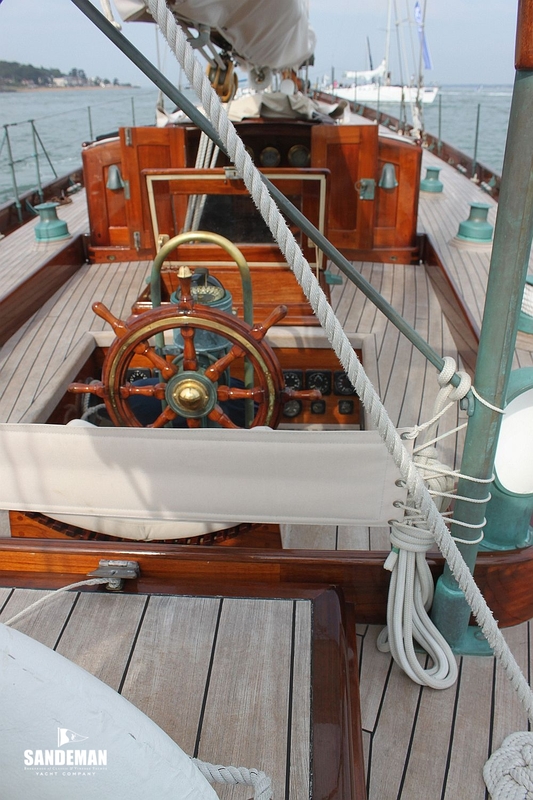 LATIFA is very much a yacht with which to dream and then to achieve. Yesterday off Ardlamont – the south-western tip of Argyll’s Cowal Peninsula – during The Fife Regatta’s thrash from Tighnabruaich to Portavadie, we saw the real LATIFA come alive, full and by, as William Fife Jr. must have visualised this exquisite – some would say the finest – example of the functional art that flowed from his drawing boards and models, through his Fairlie boatyard to the firths, seas and oceans. 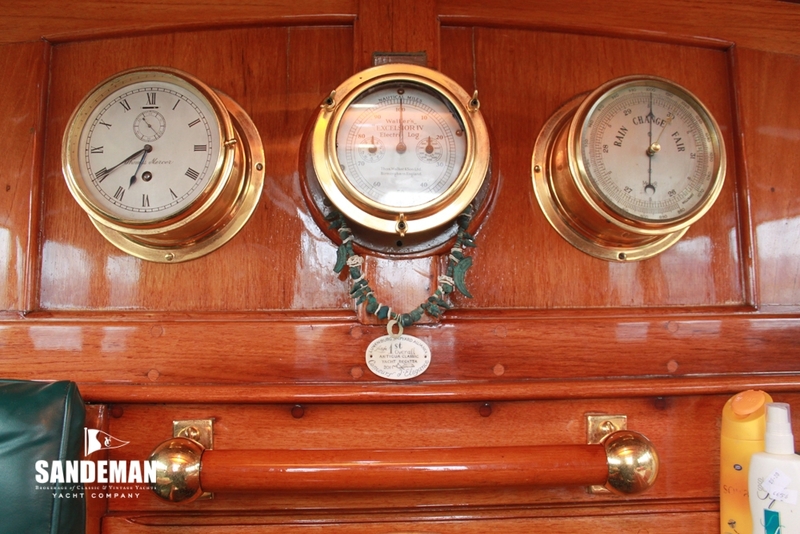 Fife was 79 when he designed and built LATIFA as an ocean racer. She never stops. 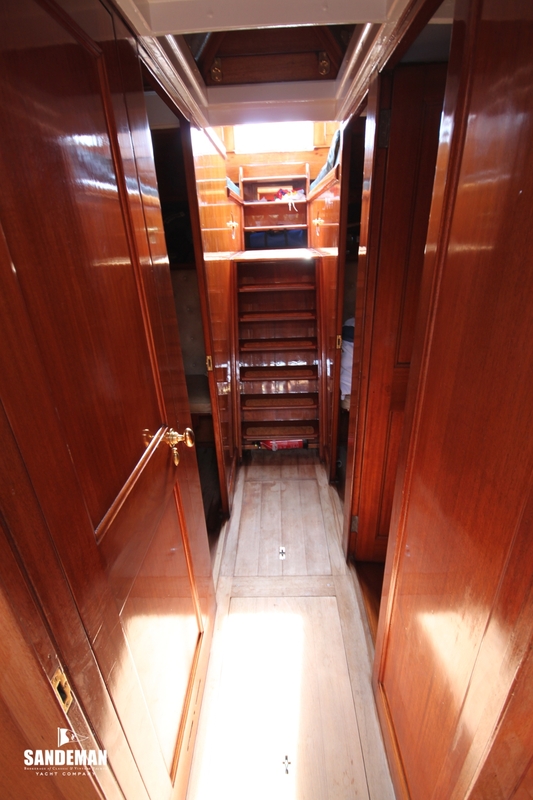 Aboard today, she looks every inch the Fife dream yacht. 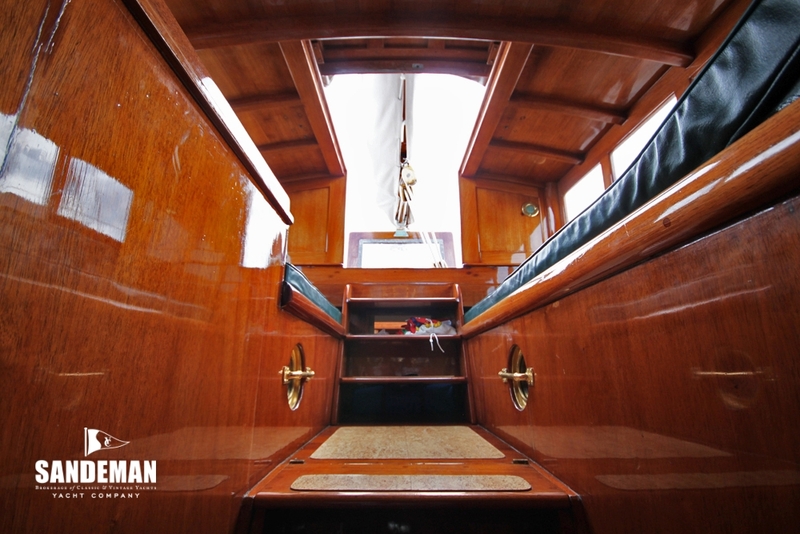 When the current owner found her 37 years ago, he immediately undertook a major restoration at the Beconcini yard in La Spezia, Italy under his own close supervision. 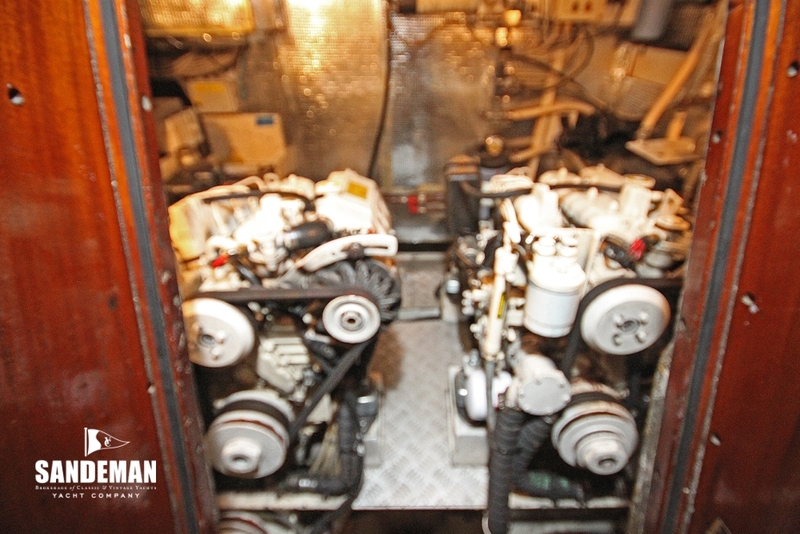 As well as required maintenance work commensurate with her age, adjustments were made to swap her bulky engines for a more suitable and compact power source. Today she is fitted with twin 50 HP Kubota engines driving contra-rotating Max Prop propellers and each engine is capable of charging her bank of house batteries. 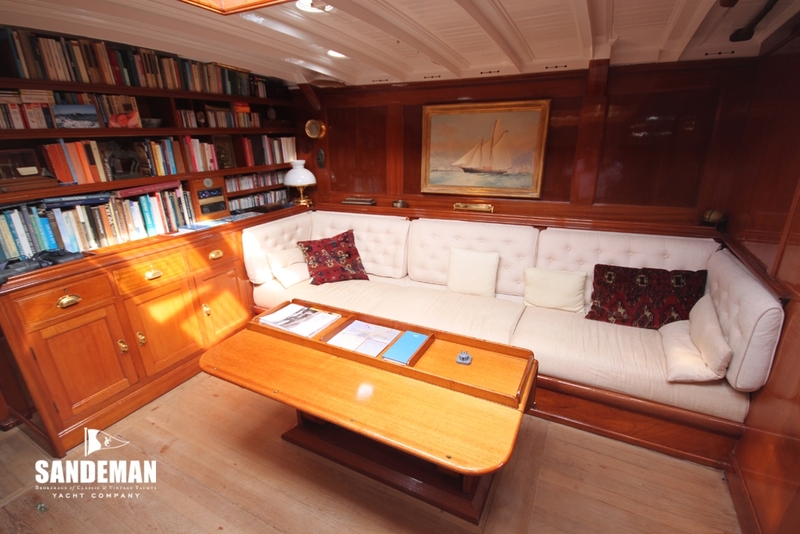 The space that this rationalisation freed up has been incorporated into her interior and she now has a saloon befitting a yacht of her size and status, as well as boasting a library and three double cabins. 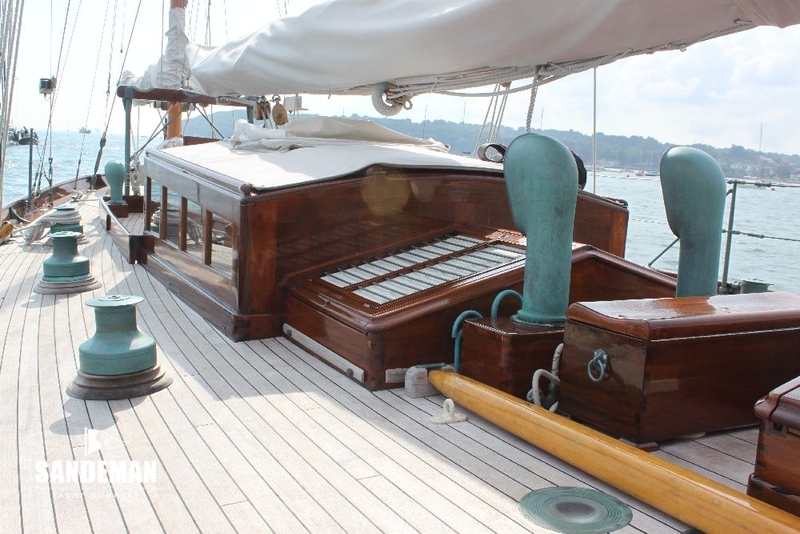 Along with the extensive interior refurbishment and structural maintenance, including a new deck, LATIFA\'s rig has been restored to that from her original drawings – a low aspect, three headsail yawl. 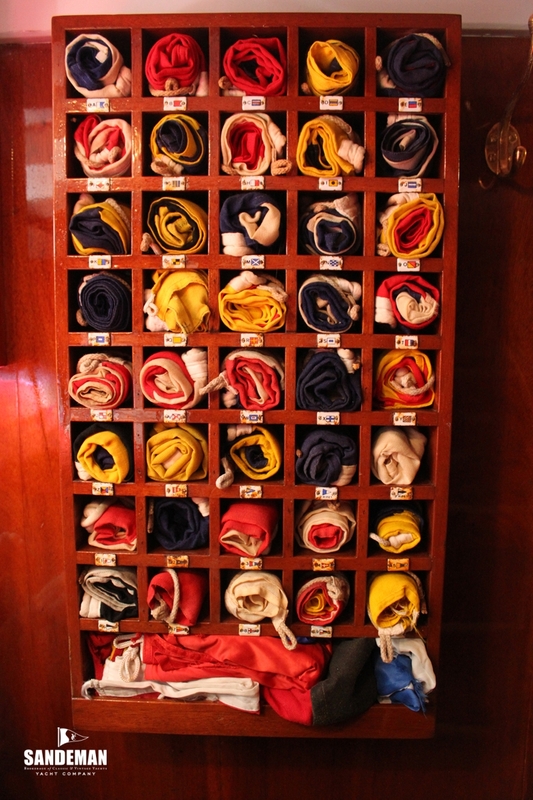 And such is the current owner\'s passion for hands-on sailing, that small upgrades have been made to the equipment and running gear to make short handed and solo sailing not just a viable option, but something that he does on a regular basis. 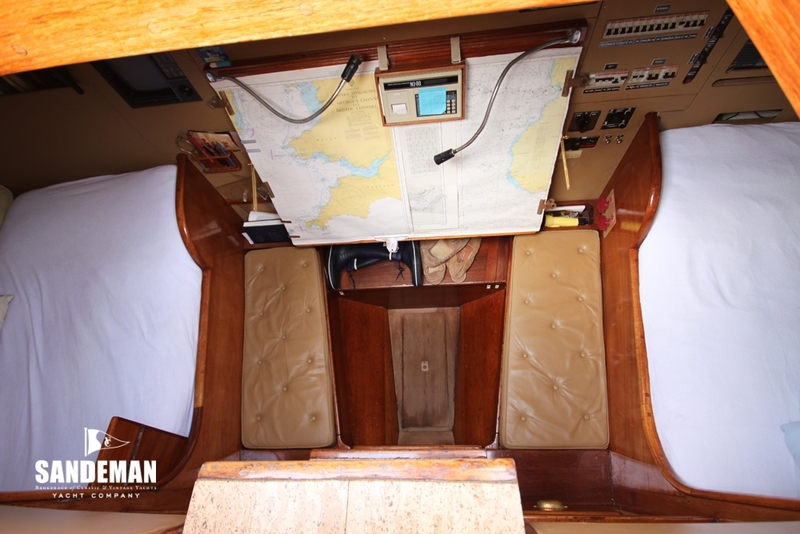 But with time all things come to pass, and now this desirable, beloved and utterly usable piece of yachting history will pass to someone new: what is perhaps the ultimate Fife cruising yacht is requiring a new owner. And it might be another forty years before anything like her comes onto the market again. 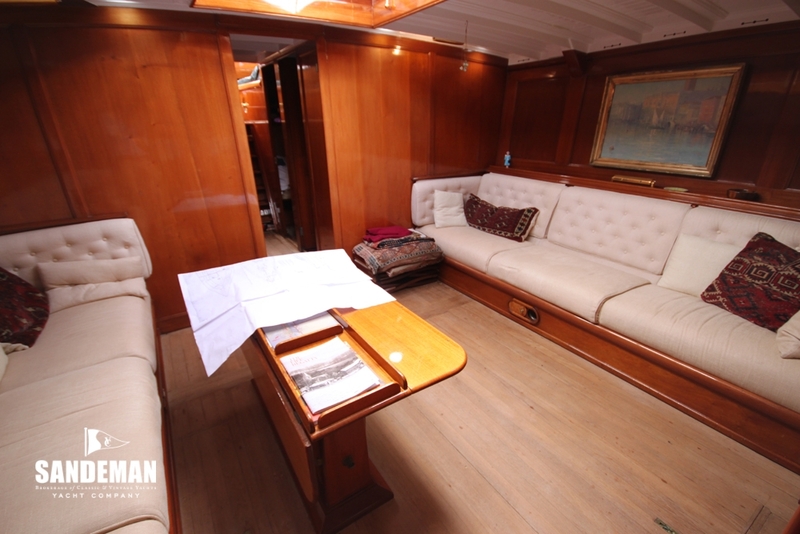 Having chosen the Beconcini yard at La Spezia and after careful consideration by her current owner the approach was radical. 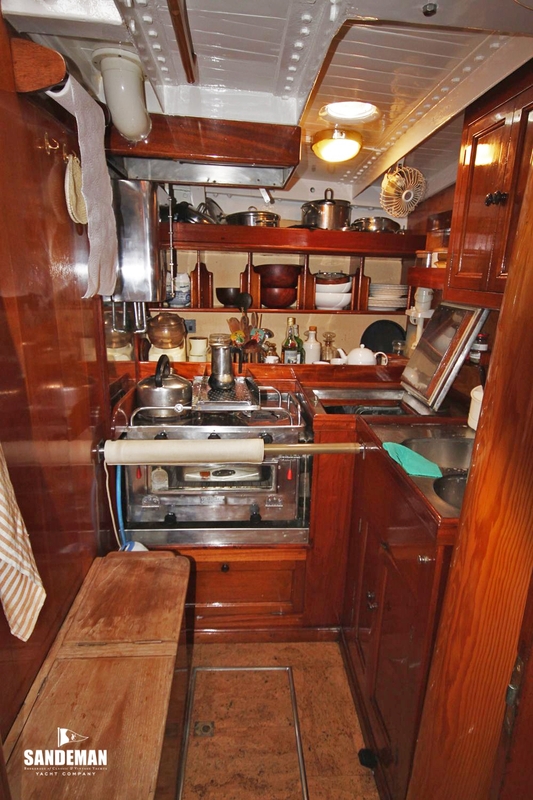 Everything was stripped of her all machinery and electrics were scrapped. 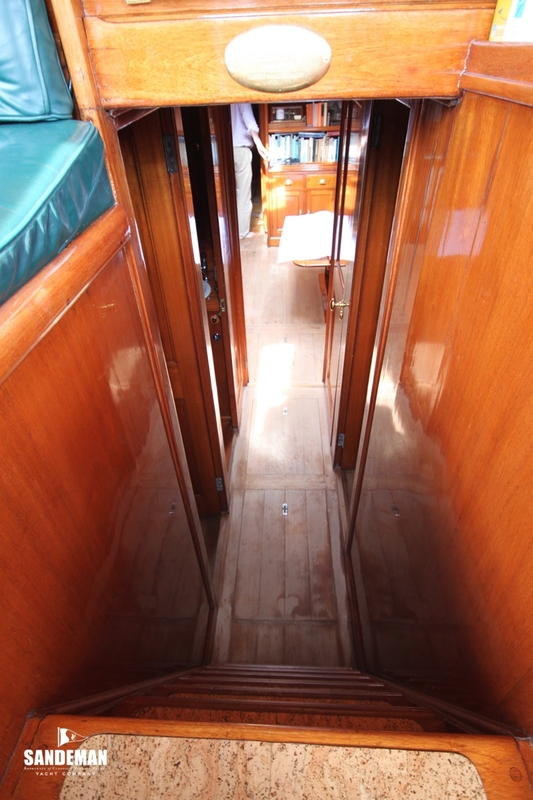 Bulkheads, partitions, cabin sole and all furniture were put ashore and numbered. Totally empty she was enormous. 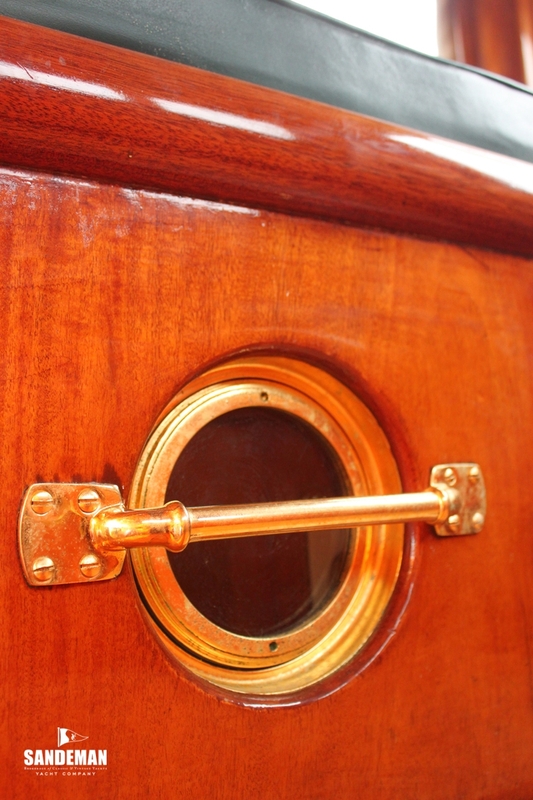 Details of the restoration work carried out are available on request. 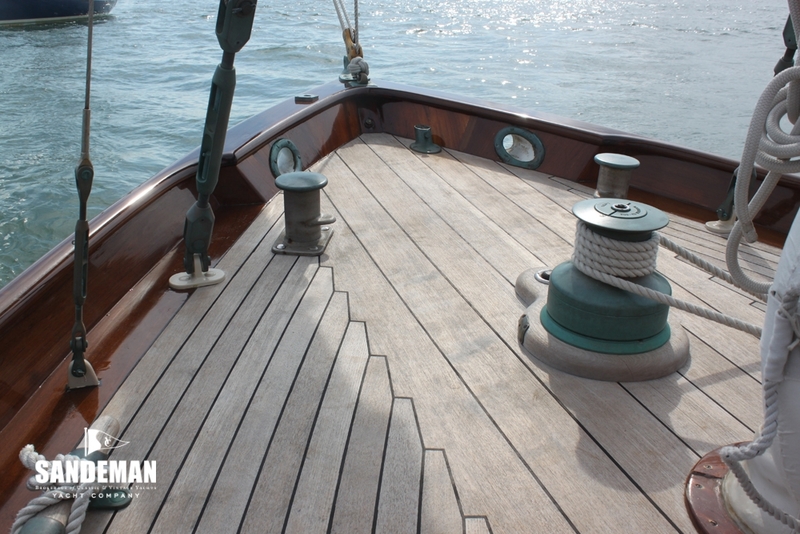 Again at the Beconcini yard and under the strict supervision of her owner she received a new mast step structure, chain plates and teak deck. Details of the works undertaken are available on request. 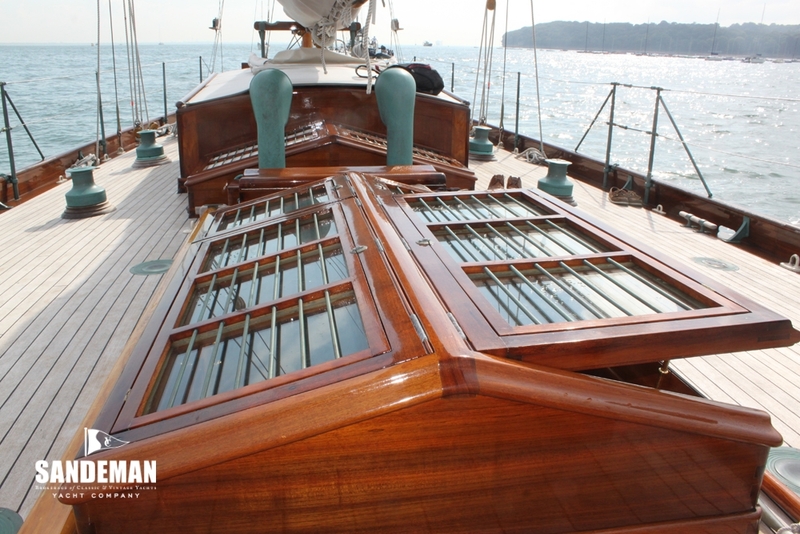 This year all the stainless standing rigging has been replaced after ten years, the topsides sprayed with Awl Grip high solid clear, the covering board varnished, a black water holding tank system installed. 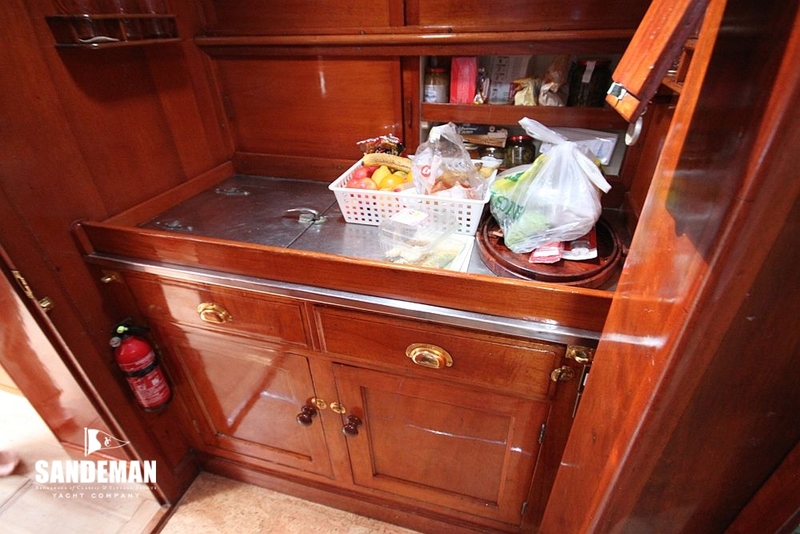 LATIFA under her current custodianship, has always been maintained and upgraded to the highest standards. I feel that William Fife would be pleased (with the restoration). 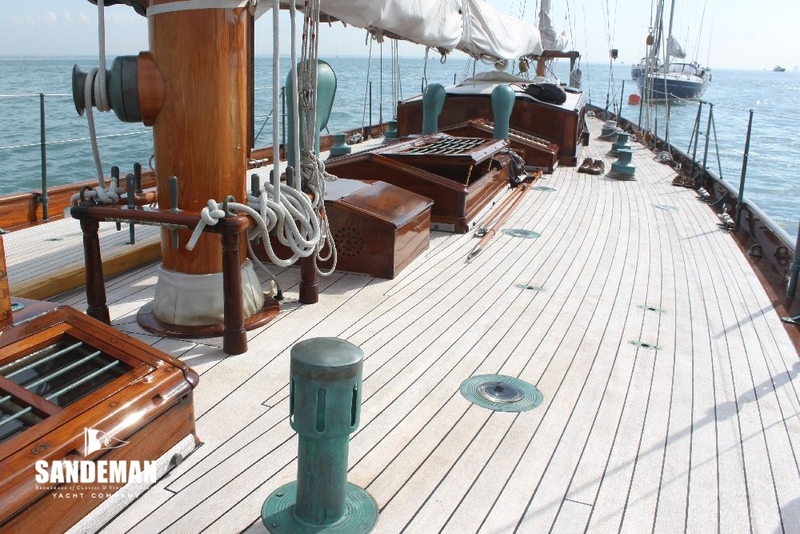 In my experience what surprised and delighted me from the start was the seaworthiness, the comfortable, predictable motion of LATIFA even in very rough weather. 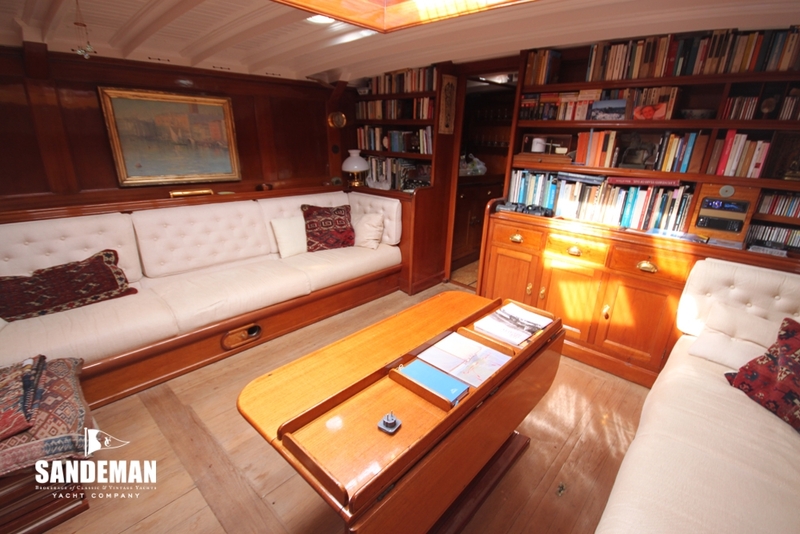 I feel that these qualities eventually, after years with crew and in spite of the not so easy rig, allowed me to resume my favourite solo sailing; first for years, from Italy to Greece and Turkey then onto the circumnavigation via the Atlantic and Indian oceans. 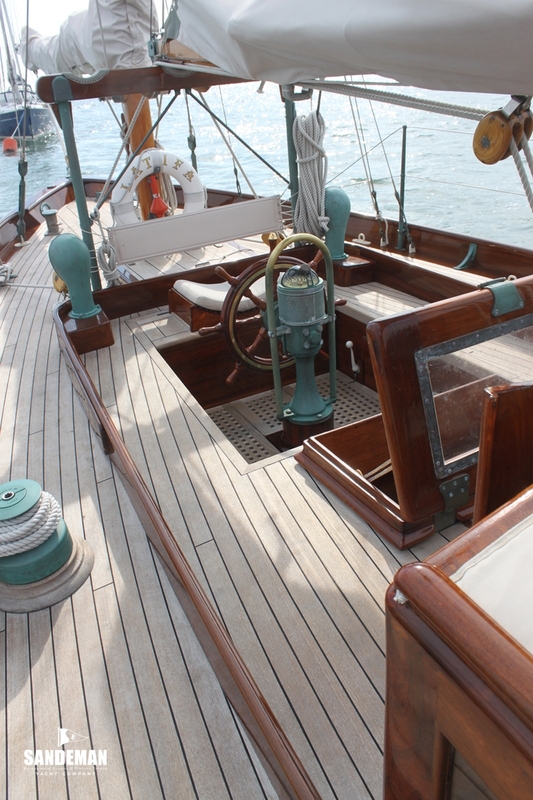 LATIFA\'s rig, restored to the original, is that of a low aspect 3 headsails yawl. 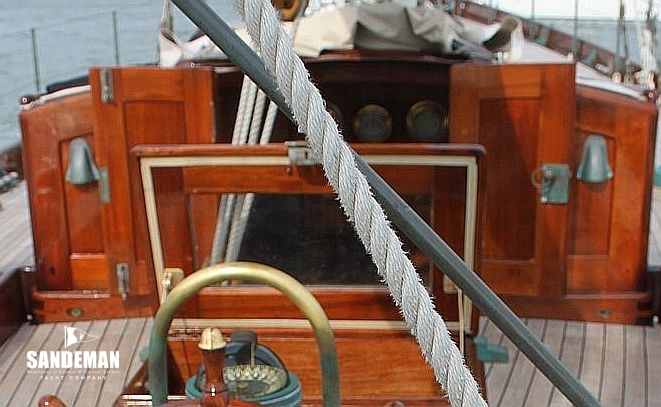 The working headsails are relatively small, considering that the jib topsail is handed when the apparent wind is around 18 knots. 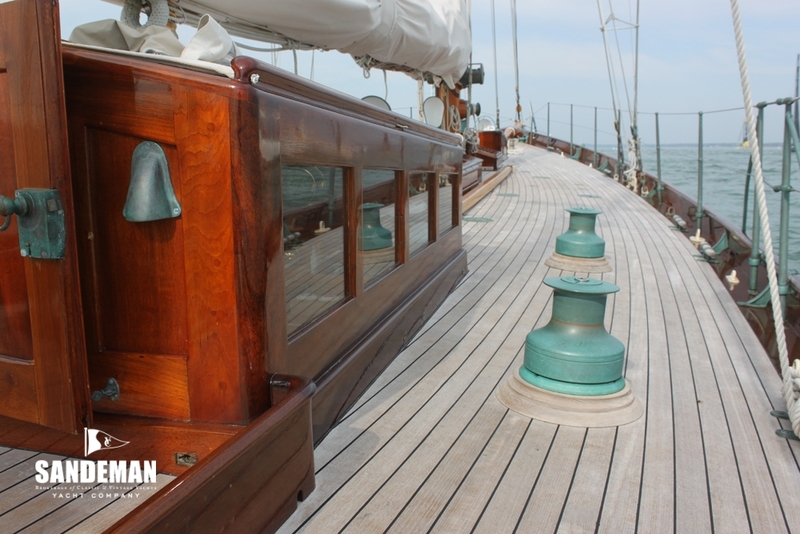 The main difficulties are the running backstays; no mistakes are allowed there, because, as you can see from the plans, jib and staysail stays are both converging towards the upper spreaders only supported by the runners with a 2 x 4 purchase with 4 substantial blocks. 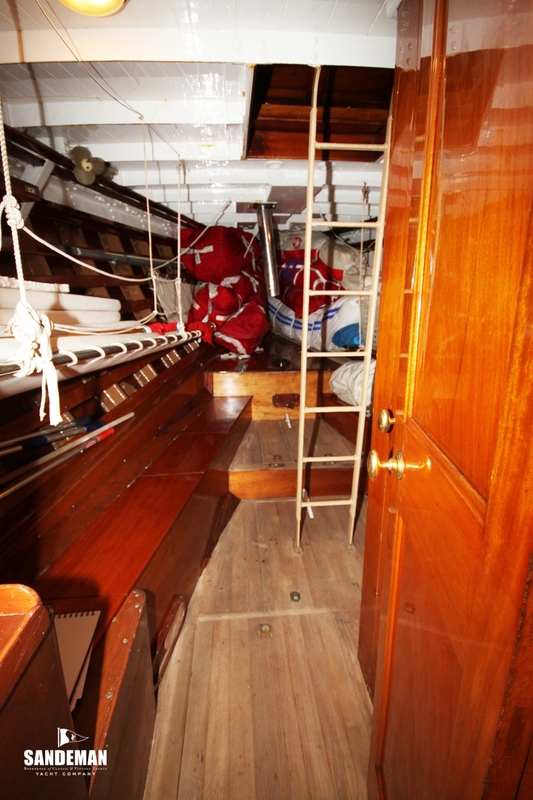 The mainsail, worthy of the name, with a 10 metre long boom measuring 120 square meters has two slab reefing. 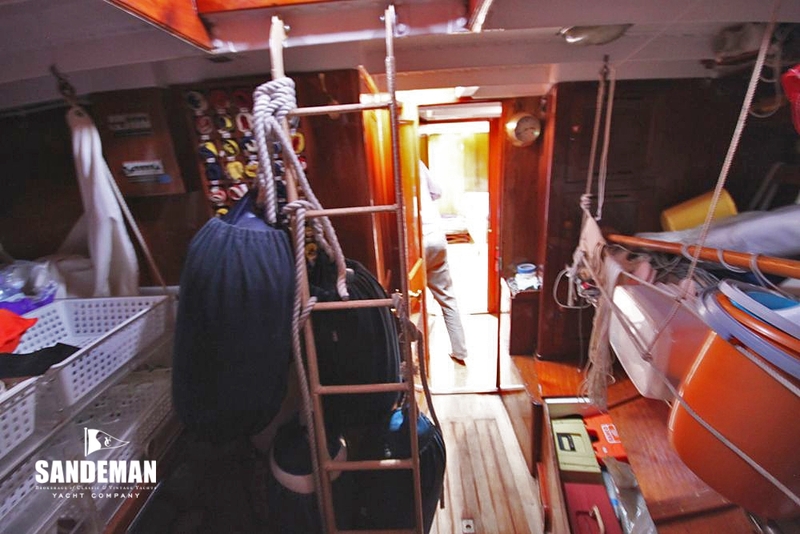 One electric winch is for the 55 metre long main sheet.